Variant Comics from then ’till now – Part 4! In Part 1 and part 2 we looked at the very beginnings of series of variant comics beginning with the “price variants” and how they evolved from relative obscurity, during their 50 year existence, to collectability following Marvel test marketing their own “price variants” over a few select markets. The discovery of those Marvel price variants spurred on the discovery and collecting of 50 year old Dell’s and slightly less old Gold Keys and Archies. In part 3 we looked at the beginnings of the second major series of variant comics, the second (and subsequent) printings. We looked at how rare it was for a publisher to publish a second printing of any comic due to the newsstand distribution system of comics. Any decisions on second printings of a popular title were not only rare but often a year or two later. In this, part 4, we will explore how second (and subsequent) printings evolved from rare events to commonplace. Along the way, those second (and subsequent) printings went from being shunned by collectors to recent events rendering them collectible. Three events have contributed to a change in the recent interest in the collectability of second and subsequent printings. 3. A decision by Marvel Comics in late 2001. 1. Independent publishers saw its early beginnings with underground comics who both self published and distributed. Without the relatively deep pockets of publishers and distributors, these early independent publishers printed small quantities of comics in a print run. It was not uncommon to see popular titles such as Robert Crumb’s “Zap Comix” with 1st to 9th printings of the early issues. Independent comics eventually evolved from those early underground classics to attract the interest of mainstream creators leaving the “big two” and branching out on their own with a few friends (all pre-Image Comics). They learned from their predecessors that you could print a small run, wait to see how it sells and if demand warranted, order a second, third, or more printings. 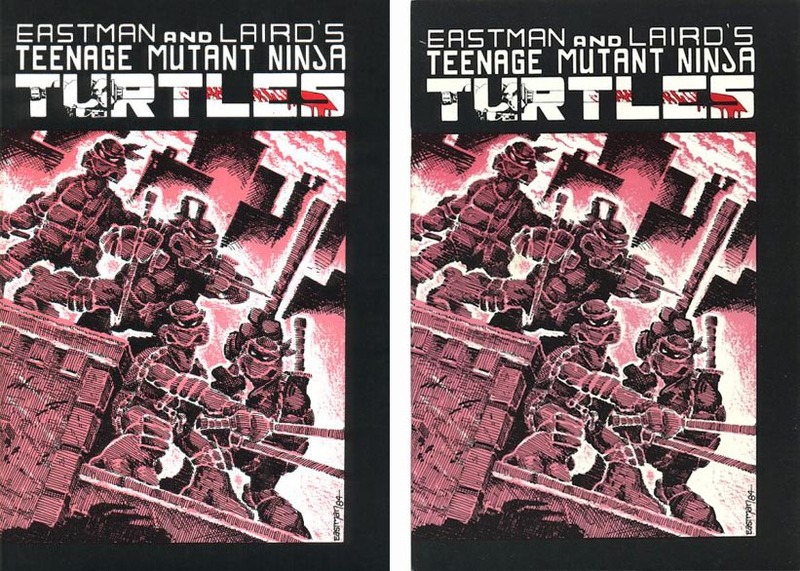 • Teenage Mutant Ninja Turtles #1 was published by Mirage Studios in 1984. It has 1st through 6th printings, with the first three printing covers being identical. TMNT #1 from 1984, 1st printing on the left, 3rd printing on the right! 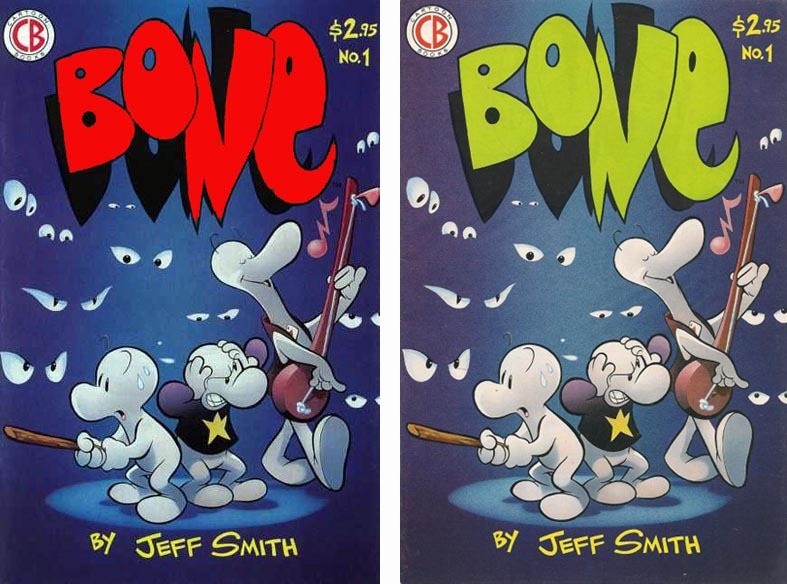 • Bone #1 was published by Cartoon Books in 1991. It has 1st through 8th printings with each printing identifiable by a different colored “Bone” logo on the cover. From Cartoon Books in 1991, Bone #1 first printing on the left. Second printing on the right. • Milk & Cheese #1 was published by Slave Labor Graphics in 1991. It has 1st through 8th printings, with the 8th printing, thirteen years later, in 2004. Each identifiable by the printing run on the front cover. 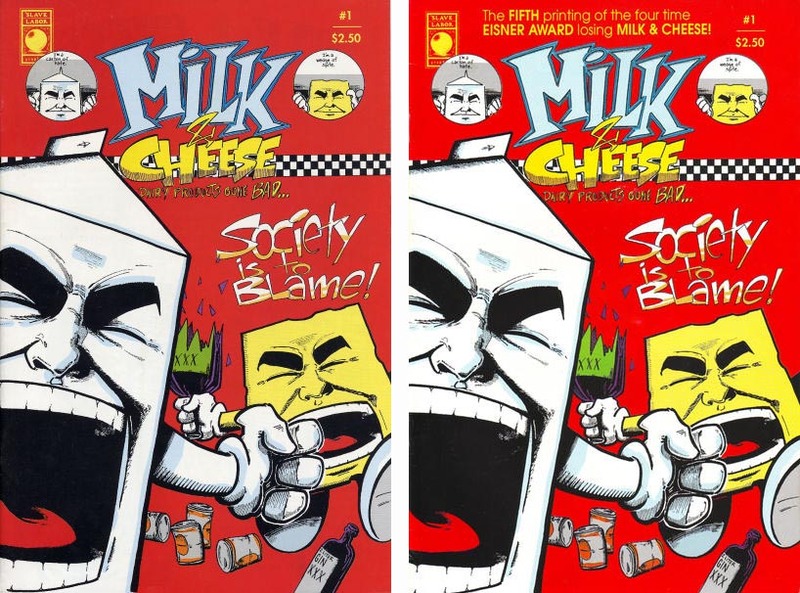 From Slave Labor Graphics in 1991, on the left Milk and Cheese #1 first printing and on the right, the 5th printing. The first issues of these three classics had relatively tiny 1st print runs and were virtually impossible to find. Collectors were so determined to own a copy, they were happy to shell out money for a second or third printing. Suddenly, 2nd and 3rd prints, also with minimal print runs were increasing in value and collectors began to take note that some 2nd and 3rd prints could be worth their investment. However, just after 1991, another type of variant comic book took centre stage, which we will talk about in a future part of this series. 2. The direct market of comics from distributors directly to comic shops saw its early beginnings in the mid 1970s, eventually evolving to what we see today, with one distributor, Diamond Comics, being the one and only direct market distributor of comic books. During the early evolution of the direct market, something significant changed for publishers. Prior to the direct market, publishers took on the entire risk of unsold copies with any unsold copies being returned from the newsstand network to the publisher for destruction. The publisher ate the printing costs of all those unsold copies. With the direct market, comic stores came to pre-order their comics and paid for all in advance of printing. This transferred the risk of unsold copies from the publisher to the comic store owner. Publishers continued to distribute through a newsstand system side by side with the direct market equally for a time, with a tiny newsstand market remaining in existence today. As the newsstand market dwindled, publishers continued to share some of the risk by ordering print runs of comics which were a considerable percentage higher than what comic shops were ordering. This provided a healthy back issue ordering system that worked for comic shops and comic collectors alike for many years. Still, up until 2001, other than the relatively few independent publisher successes, second and subsequent printings were relatively rare occurrences. 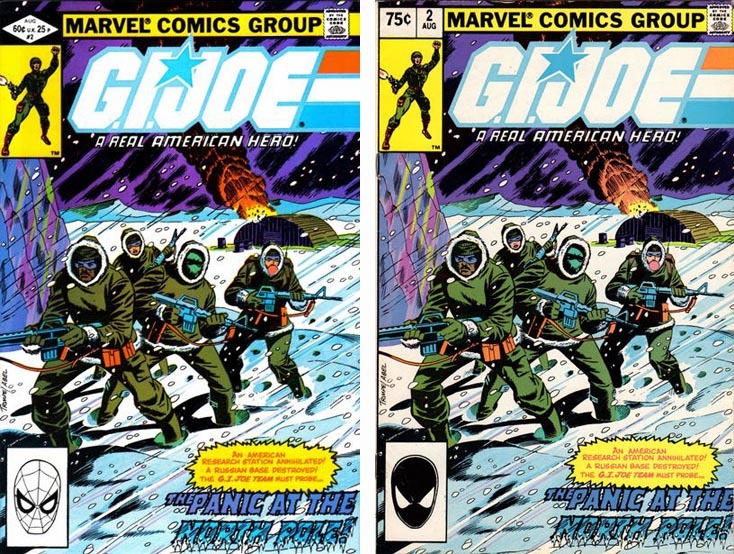 • GI Joe A Real American Hero #1-12 from 1982-1983 all had second printings for the direct market editions, but not for the newsstand versions. 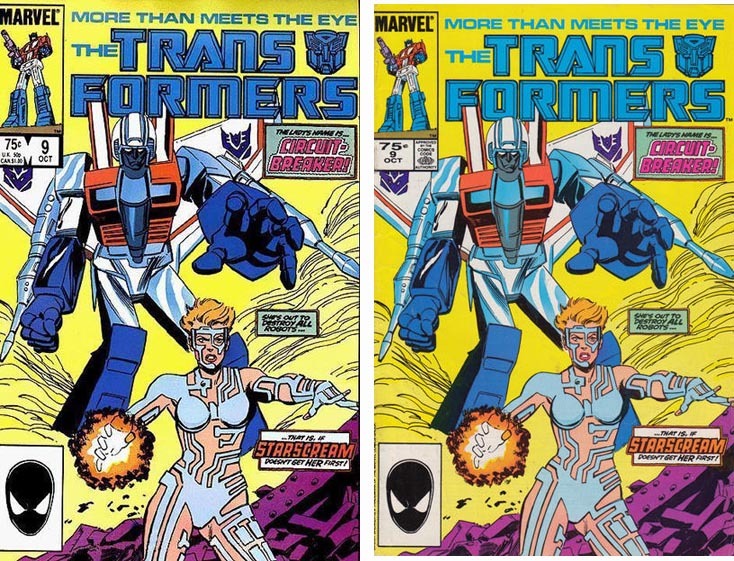 • Transformers #9 from 1985 with a newsstand version and a 1st and 2nd printing for the direct market. From Marvel Comics in 1985, Transformers Comics #9. First printing on the left and second printing on the right. In the next part we will look at the decision by Marvel Comics in late 2001 which drastically altered the landscape for second, third and other subsequent printings! Part 5 Part 6 Part 7 Part 8 The History of Variant Comics Part 9 is here and is the last part of this series. Share the post "Variant Comics from then ’till now – Part 4!" This entry was posted in Variant Covers on August 7, 2014 by Hal Hickey.